Christina Seely is a visual artist whose photographic practice stretches into the fields of science, design, and architecture. Her work is exhibited nationally and internationally and is featured in the collections of The Museum of Contemporary Photography and The Walker Art Center among many others. She received a 2014 Smithsonian Artist Research Fellowship. Her first monograph, Lux, was co-published by Radius Books and the Museum of Contemporary Photography in 2015. In my work I am interested in creating awareness around global environmental issues. The challenge was how to use the photographic language in a less usual way to help draw attention and translate a serious but accessible message. These images are iterations of a set of kinetic mirrored light box portraits called Next of Kin I created using specimen of endangered species from the Museum of Natural History at Harvard. 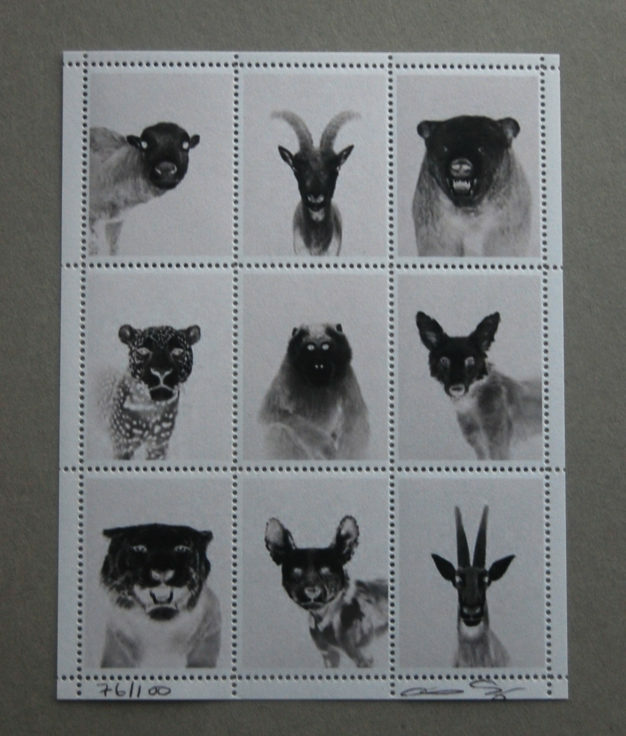 The idea of the stamp is a nice dialogue as a message in motion with the animal kingdom as a network and interacting elements of ecosystems.